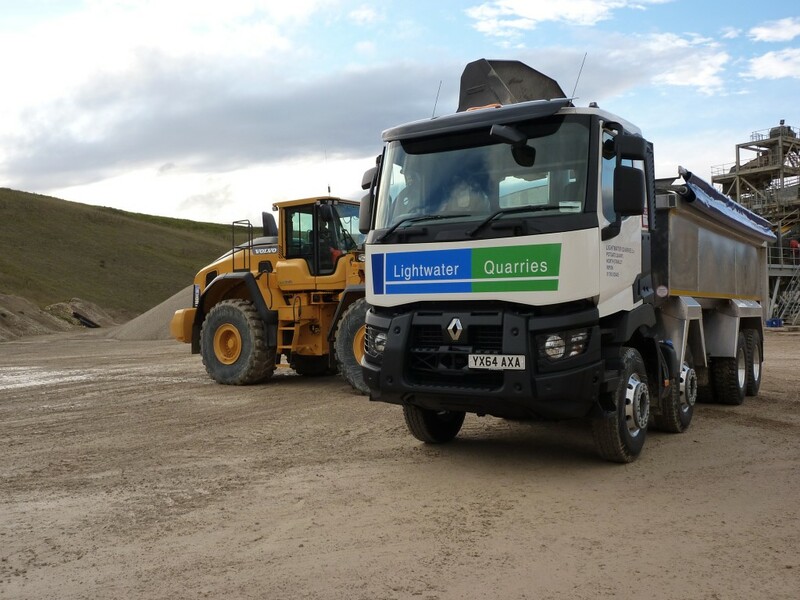 We have a new addition to our fleet at Lightwater Quarries! Our new Renault 8 wheeler tipper replaces one of our old wagons which we affectionately named Henry Hino! 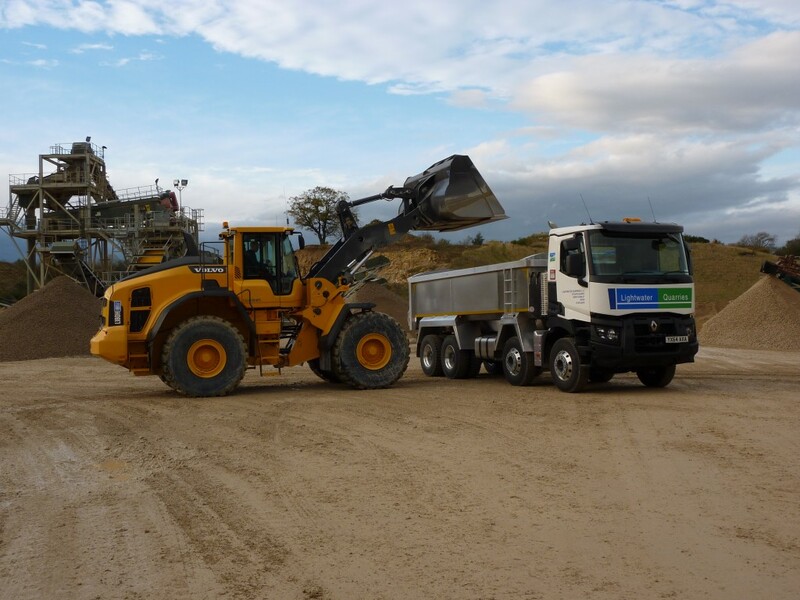 The new Renault 8 wheeler tipper is driven by our driver Richard ‘Raggy’ and has a new euro 6 engine for lower carbon emissions as well as a fully enclosed sheeting system and a fully automatic gear box to improve fuel economy. 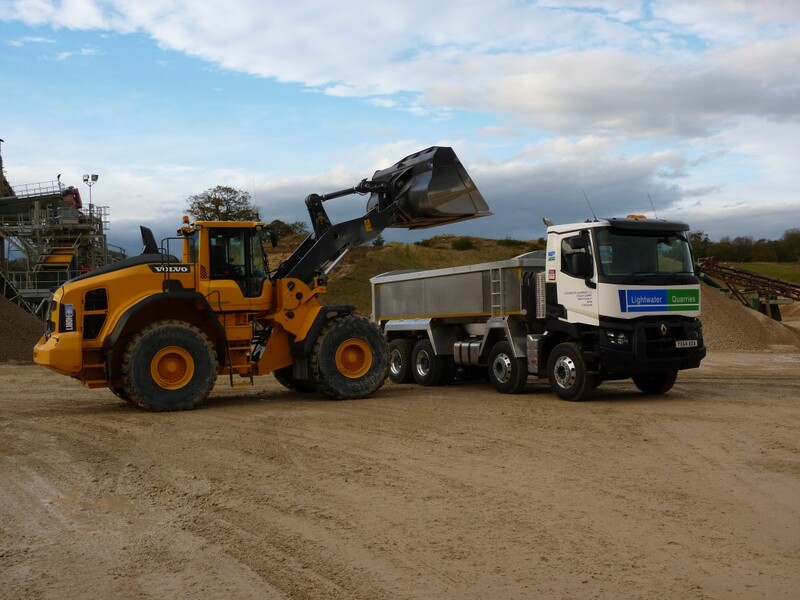 The fleet at Lightwater Quarries now consists of 3 x 8 wheeler tippers and 1 x 4 wheeler 10t tipper. The fleet is enhanced by our base of local hauliers who are all carefully vetted by us at Lightwater to ensure each delivery is to the highest standard in terms of service and health & safety requirements. We aim as a business to always offer the highest standard of service to our customers. As a local company this ethos is embedded into everything we do and is mirrored by our concrete team at Concrete4U who have their own fleet of 3 x batched on site (volumetric) wagons and a 3.5m3 drum mixer.